Bootstrap version 3 has recently been released and I wanted to cover some useful and interesting Bootstrap tools and resources. 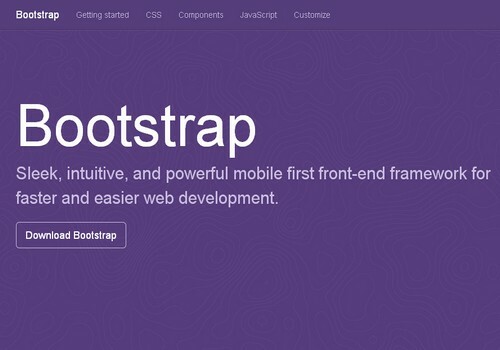 If you are currently on Bootstrap 2 or earlier versions, you might be interested in checking out Parashuram Narasimhan’s post that covers Bootstrap’s evolution over the last 2 years. He also has a great Bootstrap performance tool that charts performance metrics for each Bootstrap component for each release. Also, if you are interested in seeing some great websites created with Bootstrap, I really like the Built with Bootstrap showcase of sites and apps. Bootstrap Grid Builder – Jay Kanakiya’s tool for exploring and generating column/row grids based on different devices (phone, tablet, or desktop). JetStrap – premier interface-building tool for Bootstrap 3. LayoutIT – layout interface for Bootstrap project. Bootstrap Live Editor – A WYSIWYG Editor built for Bootstrap. ShoeStrap – open-source WordPress theme that’s based on HTML5 Boilerplate and Bootstrap from Twitter. Bootstrap CDN – The recommended CDN for Bootstrap, Font Awesome, and Bootswatch. Twitter Bootstrap Button Generator – quickly set up buttons based on Twitter Bootstrap. elusive-iconfont – 271 Sleek vector icons for bootstrap. KickStrap – no-install framework to extend Bootstrap with apps, themes, and, extras. Want to see more tools? Check out this Bootstrap Framework Tool Chest, Bootsnipp’s categorized list of Bootstrap resources, and the huge list of 319 useful Twitter Bootstrap resources.